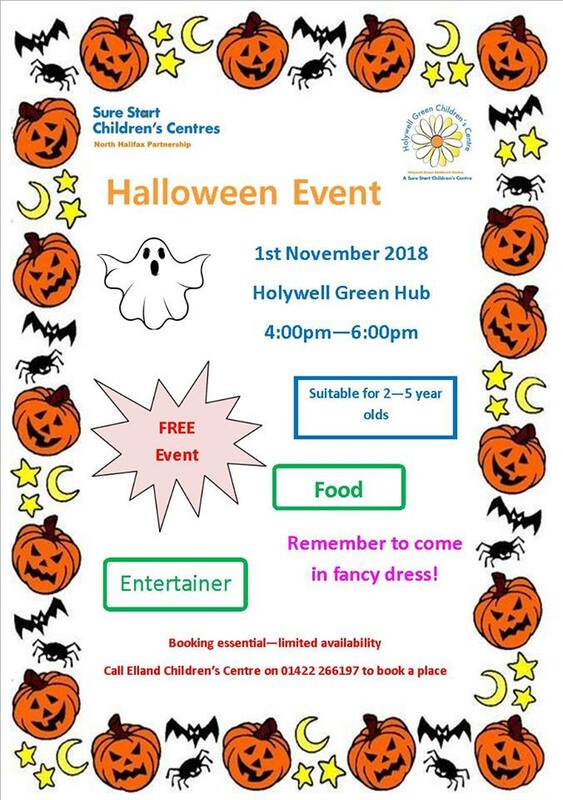 Join a FREE Halloween event at Holywell Green Children’s Centre on Thursday 1 November, 4:00pm-6:00pm. Suitable for ages 2-5 year old there will be an entertainer and some food. Places are limited so booking is essential by calling Elland Children’s Centre on 01422 266197. This entry was posted in Events, Nov, Sure Start and tagged Holywell Green Children’s Centre.